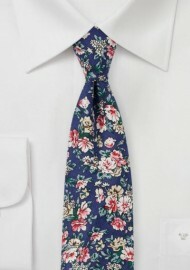 A vintage floral print is paired with a modern slimmed down tie and a casual cotton fabric! 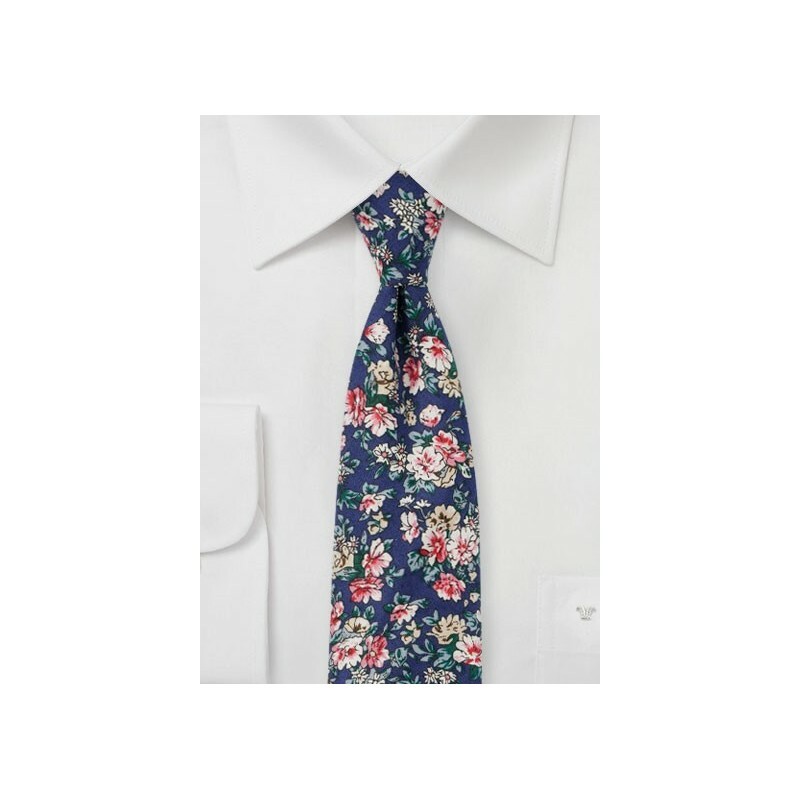 This combination creates a truly unusual tie that looks fantastic when worn without full suit, but jeans and vests instead. The royal blue background paired with pink, blush, and tan florals looks best on top of shirts in white, light blue, and soft pink. Handmade from printed cotton by designer BlackBird.